La versión 4.1 del firmware QTS de QNAP ya está cada vez más cerca de estar disponible en versión estable final, ayer teníamos disponible para su instalación la que es la Release Candidate 3 y en su lista de cambio vemos como el fabricante corre para corregir todos los errores detectados en esta fase beta para sus NAS, al igual que salen nuevas versión en los diferentes plugins y utilidades para pc. Recuerda siempre que estamos ante una versión que pese a estar dentro de la candidatura final puede contener errores o incompatibilidades con versiones que puedas tener instaladas. - When the disk volume is full, the user cannot access data via samba/afp protocol. - SSDs not being listed in the "Create SSD cache" page. - After encrypting the disk and rebooting the NAS, the Home Folder is inaccessible after decryption. - After enabling SNMP & trunk, the trunk port speed is incorrect when using the MIB browser to check it. - The Media library fails to scan certain photos. - After switching from legacy volume (md0) to LVM volume (cachedev1), some .conf files still point to MD0_DATA. - In Music Station, there are some errors in Swedish. - The 10GbE card interface shows as (1 GbE) instead of (10GbE). - The Seagate Backup Plus STDR1000201 cannot be detected by the TS-559 Pro II. - USB folders in the share folder for TS-419 Pro cannot be removed. - The Disk Health showing an abnormal SMART value for item 196 Reallocated Block Count for Crucial M500 SSDs. Fixed - Authentication failed if password larger than 8 characters. New - Supports QTS 4.1. New - Support to create a NFS datastore on a pool. Fixed - Reduce the number of login failed messages. Under certain circumstances, a Turbo NAS with a firmware version prior to QTS 4.1.0 Build 0504 may experience an unsuccessful firmware update. 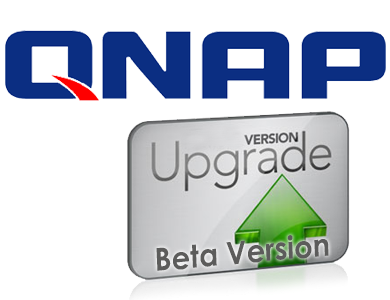 Please note: Please upgrade your Turbo NAS firmware first if it is older than Version 3.8.3, or contact QNAP technical support for further assistance. If you have experienced a failed Turbo NAS firmware upgrade whilst updating to QTS 4.1.0 Build 0504 and onward: first install the Qfix patch manually via the Turbo NAS App Center. After the Qfix installation, DO NOT restart the Turbo NAS, and proceed to update the firmware directly either via online live update or manual update. Se le conoce algún problema? es fiable?